As I've previously mentioned on this blog, I'm not the world's best theatre audience. I'm awfully critical and impatient — but if I'm won over, I can be an enthusiastic fan. I bought a season ticket to the Ahmanson Theatre this year because I wanted a guaranteed seat for the national tour of "Next to Normal." 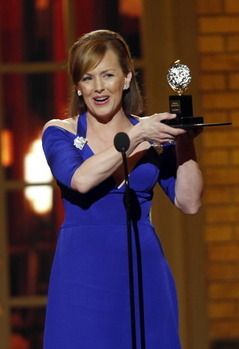 This show not only won a 2010 Tony Award for Best Musical, but also the Pulitzer Prize and a Tony for its lead actress, Alice Ripley. 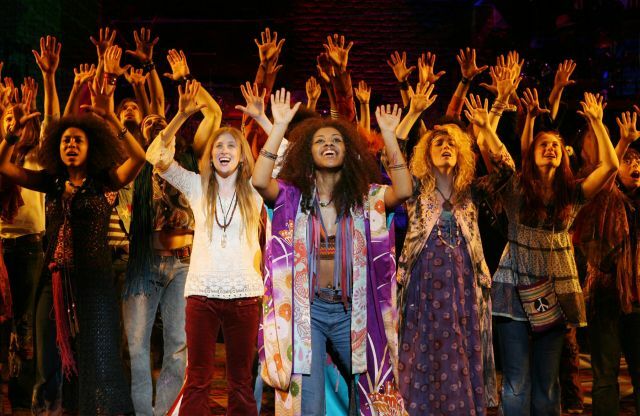 Along with jazz and baseball, the Broadway musical is a mainstay of pure Americana, and it's interesting to observe how the art form has morphed over decades as the nation itself has grappled with social change. Contrast a show like "Oklahoma," with its romantic tale of early settlers in Indian territory, to "Hair," decades later painting a portrait of the country's youth in upheaval, protest and sexual revolution. "Next to Normal" is the story of a modern family struggling for equilibrium in the churning waters of mental illness. For how long have we incorporated the term bipolar into our lexicon of everyday usage? It hasn't been decades, yet we now know what behaviors of mania and depression can mean. Many of us are intimately involved with issues of mental strain or know of children or adults wrestling with drug regimens and therapies as they look for answers and cures. This is not your "normal" musical theme. I wasn't sure what to expect and had avoided reading too much advance information. I knew it was an effort committed to a darker theme, but there could well have been a chorus line of dancing Xanaxes for all I knew. Written by Brian Yorkey and directed by Michael Greif, "Next to Normal" is wall-to-wall music, with lyrics illuminating plot and relationships more than conventional dialogue. I was moved and thrilled that the show doesn't duck, doesn't lead us gently into its dark alleys and doesn't let us off the hook. There is a beam of sunshine, there is humor and there is affection, but I did not see sentimentality or glibness. I was grateful for that. All members of the cast were stellar in musical and acting ability, and they were led by the formidable performance of Alice Ripley, a true acting animal. With a tremendous belt of power and vulnerability, she ripped her own heart apart and took ours along for the ride. 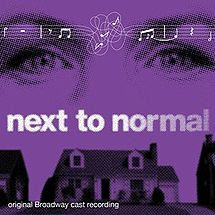 And make no mistake: "Next to Normal" is a ride. It's the Mad Mouse, House of Mirrors and Zipper combined. My entrance into the theatre the night I saw the show was prefaced by a soulful sax performance on a rainy plaza. The combined effect of the musical interlude outside and the commitment inside had me rethinking the glory theatre can be when it goes the distance. Adventure to me is to go some where you have never been at in your life or want to go agin.